Often business processes just happen and there are no measures developed to monitor how they’re doing. Knowing what’s working and what’s not based on the goals you’ve set in your business is a key ingredient for success. We’ve all heard that quote from Peter Drucker that tells us the things that get measured are the ones that get managed. Your business processes are no different. But how to create a meaningful measure that can be used is often the stumbling block. Most of the time, questions around setting up measures for business processes fall into three general areas. Exactly how do you measure business processes? 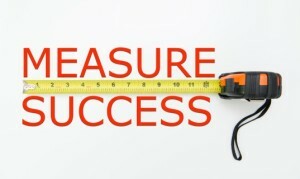 Does every business process need some sort of measure? So I tapped Rick Smith, Director of Business Analysis and Process Improvement at Yale University (aka “The Metrics Guy”) for some advice on just what needs to be done to get value from measuring your processes. The best place to start is by zeroing in on what needs to be measured. Smith focuses on the “critical few versus the useful many.” More is not better. And can often muddy up the waters when trying to track down exactly what’s impacting a specific outcome. When he’s helping managers clarify what should be their “critical few,” he approaches it with a problem solving perspective using three key questions. Sounds simple, huh? Well it’s a bit more complicated than it looks because people can be pretty vague when answering these questions. Using your critical thinking skills to get the real answers is important. Learning what keeps them awake at night will help you get the most important information. 1. How are you doing? A typical response to this question could be well, okay, or good. Make sure you find out what “well, okay, or good” means to that person. Dig deep by asking probing questions such as, “Are all complaints equal?” In other words, would a complaint from the company president, customer, or partner all have the same weight? If not, that could mean you’ll need three different groupings to measure your processes, prioritized by level of importance. 2. How do you know? Explore the “method for knowing” how things are going by questioning how things are tracked today and what would be the best way for the future. Often the method for tracking today is low tech and time intensive, such as email notifications or manual records. Determining what might work best for the future can be a bit trickier. Although the people that are closest to the issue are the best sources for this information, they often get paralyzed by fear, uncertainty, and doubt (aka the FUD factor) when asked to declare what will work best. Seek to mitigate the FUD factor by being aware of their concerns. 3. Where must you improve? Typically, a company creates both operational and customer experience metrics, and they can get out of sync – operational metrics show everything is working fine, but the customer experience metrics tell a different story. Smith has found that this is most often caused by not measuring the right things or not measuring the right things right. Based on that experience, he developed an indicator called the FVI (FACE Value Index) which holds a Yale patent. A high FVI is a good indicator of harmony with the established KPIs. He believes that every measure should address the FACE components. When determining metrics for your business processes, begin with the three key questions to narrow down the “critical few.” Then use the FACE components to establish your metrics. Two to three metrics in each component should be sufficient to determine how you are doing.